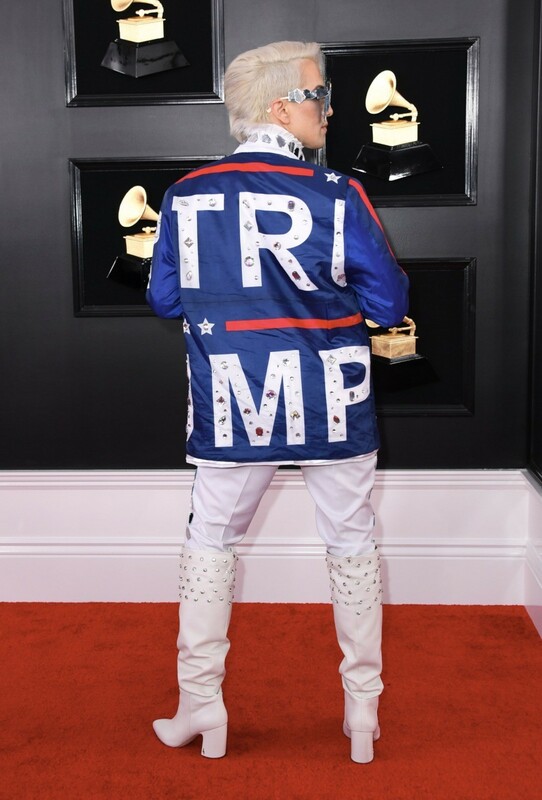 Rebel took to Twitter to share his support for the president and his supporters. 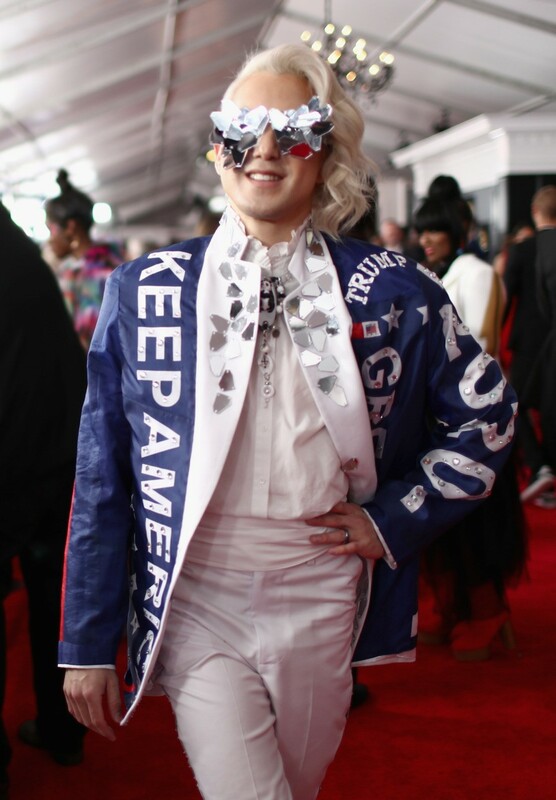 “I’m Billboard Top 40 recording artist Ricky Rebel live at the #grammys and I’m a reflection of the 60 million+ Americans that voted for @realdonaldtrump. 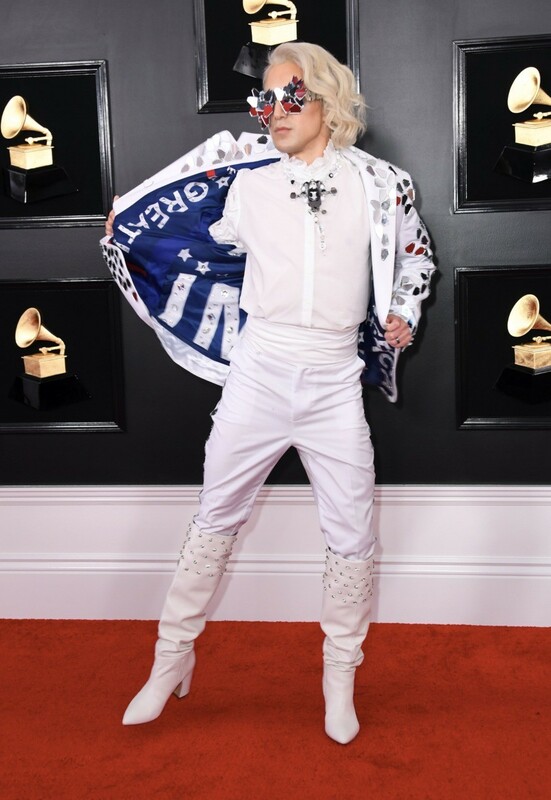 Be #TheNewAlpha Don’t let anyone keep you in the closet,” he said. 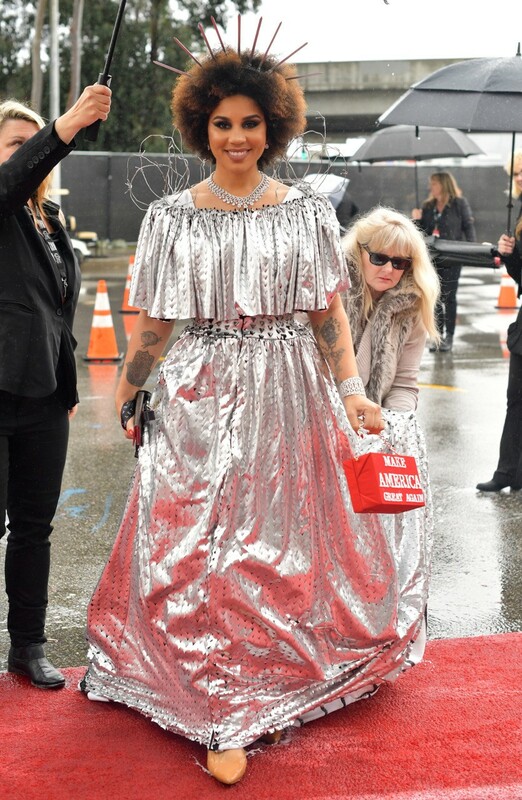 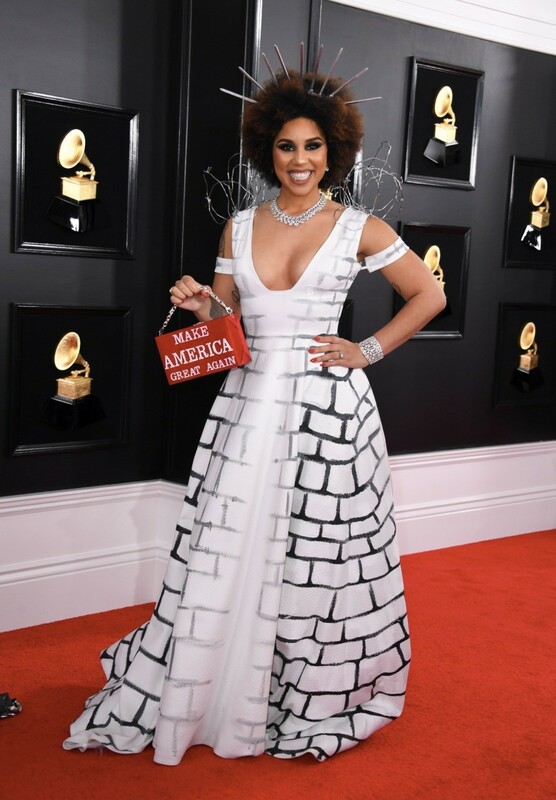 Likewise, singer Joy Villa arrived at the Grammys red carpet in a “Build the Wall” dress to show her support for the president’s signature campaign promise. 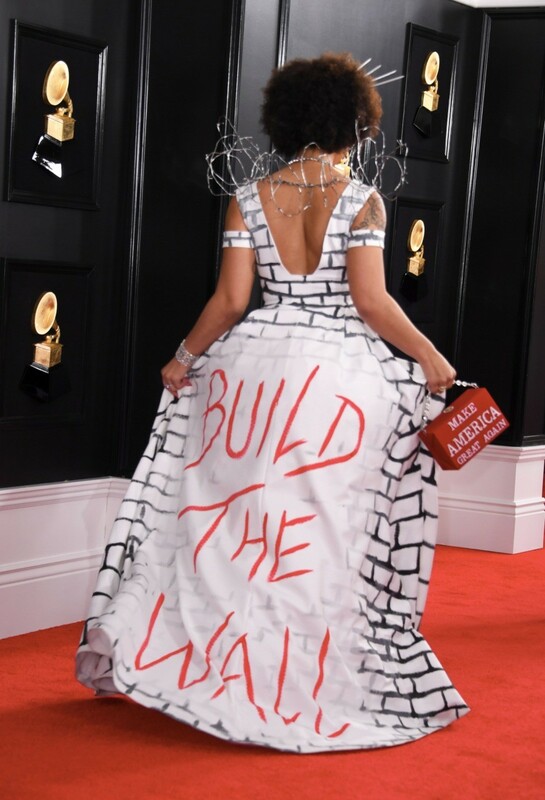 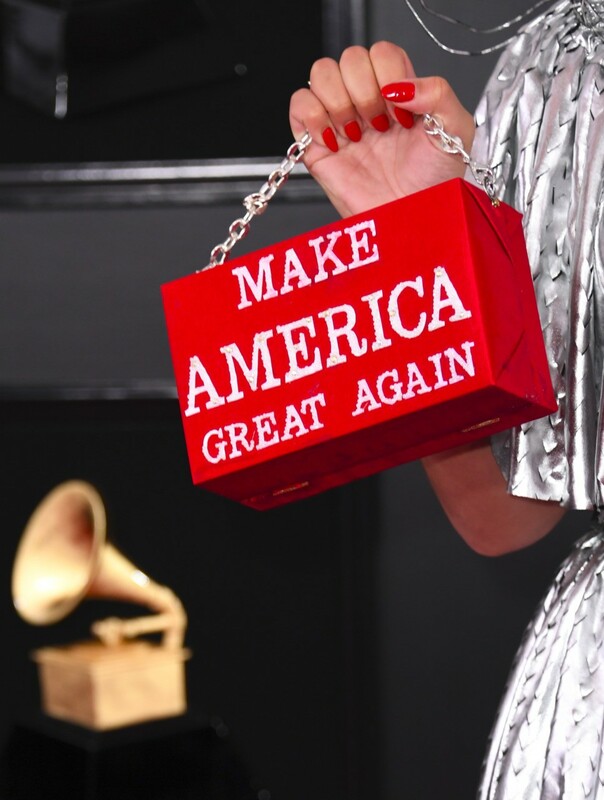 With a “Make America Great Again” purse, Villa’s dress featured a silver cover-up that she tore off to reveal a faux brick-print gown with the words “Build the Wall” written in red across the train of the gown. 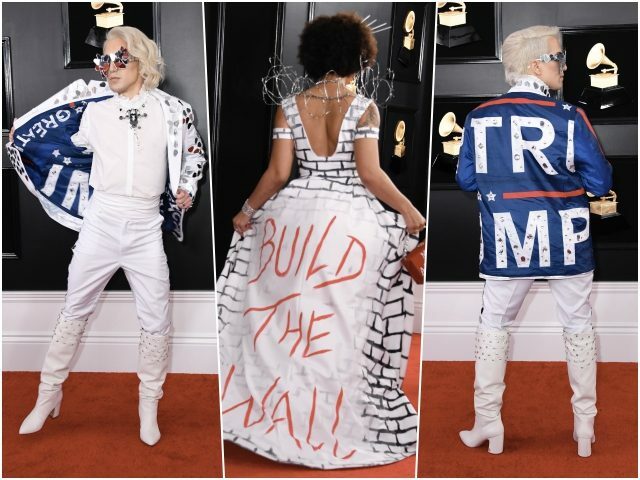 featuredThe 61st annual Grammy Awards, which a parade of out-there fashion choices, is Sunday February 10 at the Staples Centers in Los Angeles, California.